I wanted to let you know how much you've helped me control my blood pressure with Pranic Healing. In the past, my blood pressure was an average of 160/90, and I was prescribed medication to control my hypertension. After a series of healing sessions, my blood pressure now remains around 128/78 (sometimes even lower! ), and I no longer take any medication to keep it normal. In fact, recently I had some stressful events happening and my blood pressure went dangerously high. I'm so glad you did a distant healing session for me, because it quickly brought my blood pressure and heart rate back to normal levels, and I felt better right away! Thank you so much for helping me feel better and stay healthy! I came to you in June for a session for pre-cancerous cells. My radiologist told me I had a “suspicious area of calcification” after my mammogram, and she did a needle biopsy which found pre-cancerous cells. During my session, I told you that I was going to have surgery to remove the tissue, but I was petrified for the surgery, and what they might find. I’m so happy to tell you that after the surgery, the breast cancer specialist found NO pre-cancer cells at all! I’m super excited!! I feel like this is a miracle!!! THANK YOU very much for the cleansing. I am truly grateful for you. What you do is a gift to others. I wanted to provide feedback on a couple of the sessions you gave a week ago at The Living Temple. You treated my right arm just above the wrist where I had a lump and sometimes bruising that kept reappearing over the past year and a half with treatments from both my Chiropractor using his different ultrasound and laser treatments, and my Acupuncturist. Just before you started the treatment I had said that maybe it was emotional…..
What I experienced is a little strange. Did you watch the movie Ghost? If you did, remember the black spirits as they came out of the bodies when the “bad” people died? That is the closest I can get to describing what I “saw” when you worked on me. I had my eyes closed, I clearly saw a hand holding my arm just above the wrist that looked like a “black spirit” hand from the movie. It is gone and for the most part, so is the lump. I have also had and continue to have “releases” in my shoulder and neck on the right side. Both my Chiropractor and Acupuncturist have noticed that the “rocks” in my shoulder are softening up. I don’t know or care what it was. I am very grateful to you for your role and help in getting rid of it. Thank you! Just wanted to let you know that I woke up feeling much better today. My right kidney is about 90 percent better and I was able to get out of bed without pain. As far as the pain in my chest I would say about 50 percent better. Thanks again. I really appreciate what you do. The severe eczema that I have been suffering from for over 20 years, including the constant burning and itching, has been greatly reduced. This is something that two Western Doctors and two Dermatologists have been unable to do. I have even been able to sleep better at night, and I believe that sleep is a gift. Thank you for giving that gift to me. You have the best positive energy I believe I’ve met. Extremely professional, yet a hoot! Thank you again for the amazing remote healing for prosperity and abundance and overall well-being. 1 week later and your spot-on energy work continues enhancing and transforming me and my journey in wonderful ways and on all levels, physically, emotionally, mentally and spiritually. Every time I have had a healing session with you, I have experienced tremendous results. And this time has been no exception, beginning with your fantastic ability to cleanse and clear blocked energy and revitalize and re-energize chakras and pathways. What I appreciate about your work is your integrity and thoughtfulness before, during, and after treatment. Before treatment, you welcome as much information as I can provide, which in turn, you utilize my information to develop a treatment plan tailored to my needs. During treatment, I can actually feel my energy being cleaned and cleared as negativity and obstructions are being removed. You are the only healer with whom I’ve had the experience of being able to feel the treatment while it is happening. And this is, as you always are, consistent. The transformation from the start of my treatment until its completion, is always incredible, positive and lasting. 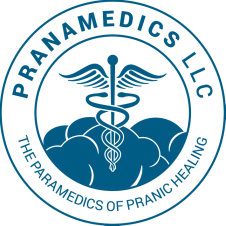 Because of your talents, abilities, fortitude, honesty, compassion, and ethics – you make it easy to recommend you as a Pranic Healer. ​I can’t thank you enough!!! I think these healings will really help my husband. He is really thankful & doing well . . .
I’d like to bring him back next month if you have time. (Fractured) Toe is doing much better. I’ve been doing what you told me, and then on Tuesday I went to see Kathy (Pool) and she did a Crystal healing on me, and that helped even more. The next day I could actually put shoes on and walk gently.